Earl and I held a Zentangle Basics class at the Volcano Art Center on the Big Island of Hawai‘i. We had exactly 11 students participate. 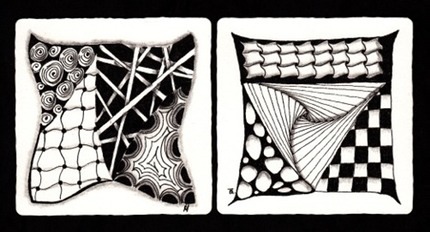 The two tiles below are examples of the tangles taught during this introduction class. At exactly 11:11 we stopped this class for a moment of reflection and appreciation. Below is a photo of the first tile completed. The class was impressed that even though they all heard the same instructions, each tile looked different. 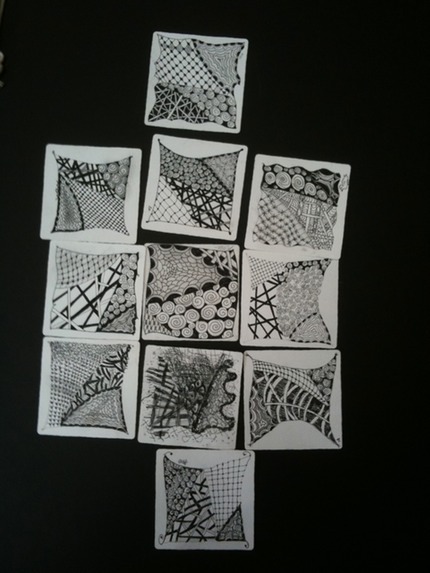 Zentangle is enjoyed by a wide range of ages and skill levels. One of the tiles was done by a 10 year old, another by a 15 year old and the rest … well, they were of ages not to be discussed.